Klis is a medieval fortress located above the village of Klis on a rocky spur which is inaccessible on three sides. Fortifications at its location date back to the time when the Dalmatae tribe of the Illyrians occupied the site. It became a royal castle and the seat of many Croatian kings, and between 1217 and 1221 was occupied by the Templars. It's final development as a large fortress was undertaken by the Ottomans who occupied the Fortress from 1537 to 1648. 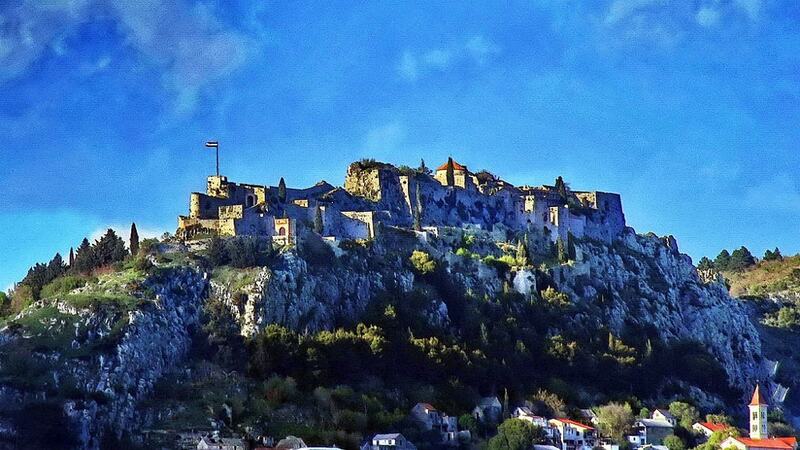 Klis fortress occupies a strategic location on the pass that separates the mountains Mosor and Kozjak. Historically, the Fortress controlled access to and from Bosnia, Dalmatia, and inland Croatia. The Fortress is made up of three long defensive lines consisting of three defensive stone walls surrounding a central strong-point. Very dramatic location. The history of the Fortress and its multiple occupiers adds to its allure. It was used as the location for the fictional city of Meereen in the HBO series Game of Thrones.